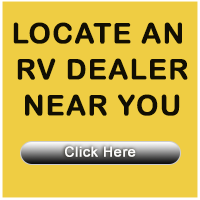 RVclassified has been providing classified ads for all types of recreational vehicles on the Internet since 1995. Below are some of the unsolicited comments we have received about the RVclassified.com and 5thWheels-For-Sale web sites. Your service was great, user friendly for the seller, flexible to make changes from time to time. Warning to other sellers - watch out for the scammers, there are alot of them. RV Classified has several warnings about scams - read them and pay attention to the advice. Your site worked very well. I was only listed for a very short time. We are very happy with your service. Listed and sold in under 3 weeks. Please cancel ad. Motorhome has sold due to YOUR advertisement. Reasonable fees and great opportunity to advertize to a larger group of people. I felt that we got good exposure with your site but the buyer indicated that he saw the ad in the local paper. Thanks for everything. Your ad was most successful. Sold my Exceel Limited in two weeks to couple from Michigan. Thanks for the excellent website and the quick results. We are very pleased with this site. We sold our RV within 2 weeks of posting the ad. We will definitely recommend this site to others. It took awhile to find the right buyer, but neither of was would have come together without nation wide exposure. I found the site quite helpful and fairly easy to use. 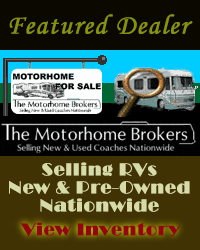 Thank you for the service of keeping the ad running until it sold - big incentive for using rv classifieds over other services! And thanks for helping us sell our trailer! Have used rvclassified several times very successfully! Services were excellent. Sold our travel trailer in less than 2 weeks. Excellent way to sell...265 hits in 10 days...actually sold it the 2nd day it was listed.